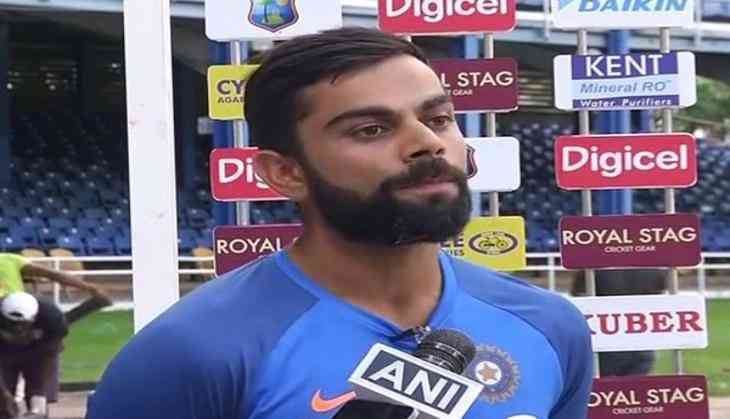 He has been asked this question a number of times and Virat Kohli today just put a full-stop to the queries regarding the appointment of Ravi Shastri post Anil Kumble's acrimonious departure. Asked about how the team is coping with all controversies surrounding the appointment of coach, Kohli said: "It (the coach issue) is something that we are not focussing on at all now. We (him and Shastri) have worked together before (with Ravi Shastri) and it has been fruitful and successful in the past. We are just looking forward to cricket now." "We want to showcase our skills with consistent performances in this series, which we have done as a side ever since we started our climb back in the rankings after the tour of Australia in 2014-15," he added. Kohli once again reiterated how the 2015 series was a watershed moment for the current team. "That particular series (in 2015) was very important for us coming together as a team, believing that we can win Test series and not just Test matches. That was the beginning of that mindset. We were able to build on that in the last couple of years, training in a certain way, thinking about the game in a certain way and playing together as a team in a certain way," said Kohli. The skipper said that they now have a good "base" which is a key component towards the team being No 1 in the Test rankings. "I think we have really built a good base for ourselves as a team to be able to do that consistently over the next few years. The next phase of (overseas) cricket is going to be challenging but it is something that we are looking forward to because we believe we have the skill required to win different conditions. We have all the bases covered strongly," said Kohli at the pre-match conference.